Housed in a converted century-old cold storage plant surrounded by the raw and unbridled beauty of Chilean Patagonia, the Singular provides a perfect blend of rustic luxury and natural splendour – not to mention gastronomic delights. Feast on local cuisine that highlights the region’s heritage, marvel at Torres del Paine National Park or simply indulge in the spa as fjords and glaciers sprawl around you. Because you’ll pay the same price as you would if you booked through the property itself, but receive a number of upgrades and benefits only available through B&R. See “Additional Amenities” below to learn more. Where adventure goes to get away from it all. We’re proud to offer an all-new style of B&R experience that combines the grandeur of the world’s most exceptional properties with B&R’s world-class expertise – all for the same price offered by the properties themselves. Click here to learn more. 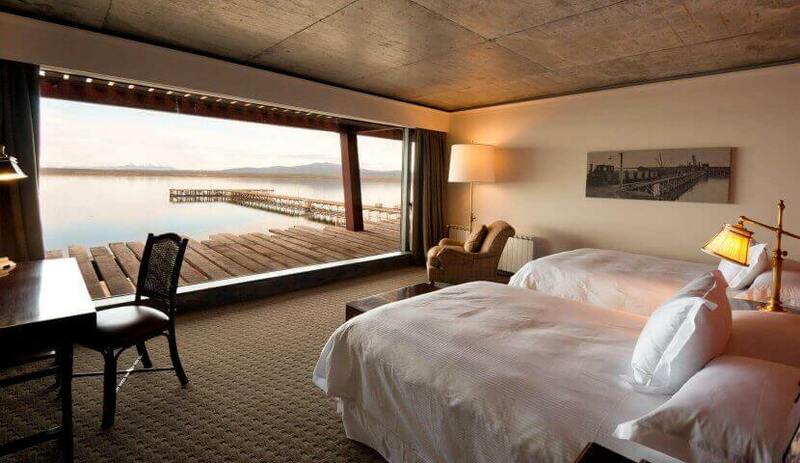 Those who want to retreat into the lap of luxury after a day spent exploring Patagonia’s open expanses. Favourite feature? It's a toss up. The guided condor-viewing hiking is amazing, rivaling the incredible views of the Señoret Channel that greet you each morning. I love the way The Singular blends a rustic, authentic sense of the region's history with a level of luxury and sophistication that rivals Patagonia's natural beauty. 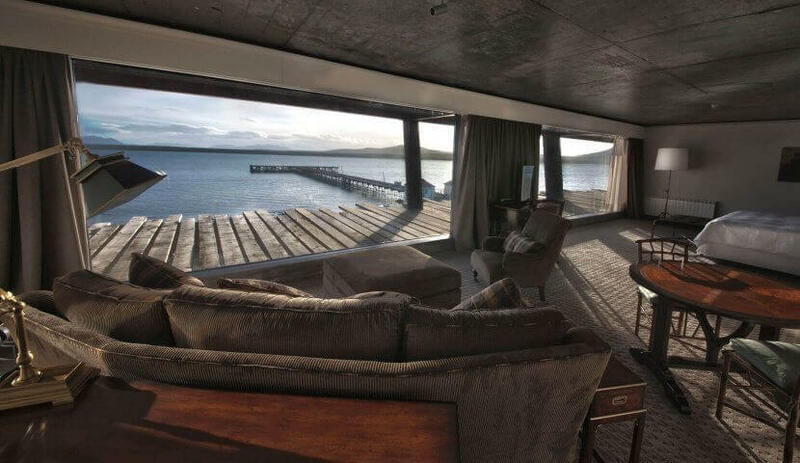 The Singular is located in Chilean Patagonia, on the shores of the Señoret Channel, a five-minute drive from the town of Puerto Natales. To go through Chile, fly to Santiago, then take the 3.5-hour flight to Punta Arenas, and a 2.5-hour drive to Puerto Bories. To go through Argentina, fly to Buenos Aires, then take a 3.5-hour flight to El Calafate. A lodge representative can meet you at the airport or a centrally located hotel and drive you to The Singular. The singular offers a number of guided expeditions designed to immerse you into Patagonia’s vast expanses. Activity levels range from basic to advanced and expeditions range from half- to full-day experiences. In addition, the Singular boasts a 3,000 sq ft eco-spa with floor-to-ceiling windows from which you can gaze upon fjords and glaciers as you relax and indulge. In addition, you’ll have access to our talented team of Travel Advisors and Trip Designers who can help you coordinate, plan, build upon or expand your trip into an even grander journey. The Singular boasts 57 rooms but just two room categories, rooms and suites. The vast majority of accommodations available are in the style of The Singular rooms below, while three Singular Suites provide a bit more space. All rooms feature double-wide windows, making you feel fully submersed in your surroundings. The Singular Room is 45 square metres (500 square feet) and features 1 King Bed or 2 Queen Beds, and a 6-metre wide glass panel window overlooking the Patagonian fjords and Last Hope Sound. All rooms feature luxurious custom furniture, large beds, an executive working desk, overstuffed love seat/seating area, minibar and in-room safe. The Singular Suite is 70 square metres (750 square feet) and boasts 1 King Bed, as well as a couch and separate sitting area. The suites overlook the Fjord of Last Hope Sound as well, although here you get twice the view as the window stretches across the width of the over-sized suite. Suites also feature luxurious custom furniture, large beds, an executive working desk, overstuffed love seat/seating area, minibar and in-room safe. A region as geographically and culturally robust as Patagonia offers myriad properties from which to explore. Here are a few of our favourites. 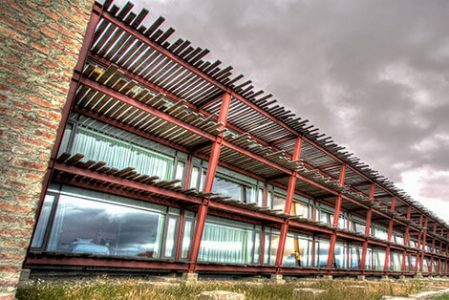 Awasi Patagonia is a luxury retreat in the spectacular Patagonia wilderness, and the perfect hub from which to explore the beauty, and nature of Torres del Paine National Park. Looking to extend your adventure? Discover a few other incredible journeys through Patagonia’s breathtaking panoramas.